After his debut novel Buried Thoughts, Joseph Annamkutty Jose has released his second book titled ‘Daivathinte Charanmar‘. 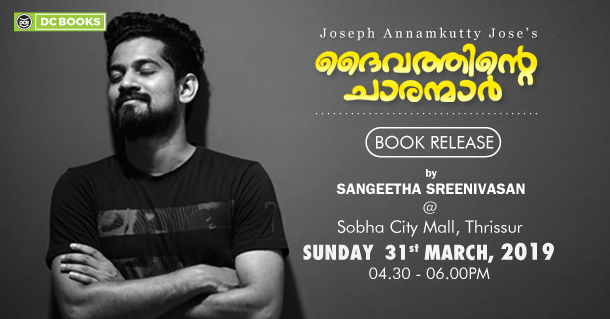 Thrissur will witness an official release of the book on March 31st,2019 at Sobha City Mall. The event which begins at 4:30 pm will feature the bilingual author Sangeetha Sreenivasan who will officially release the book. Published by DC Books, this is his first book in Malayalam. He has inked pages from his life in this memoir. Known for his talks and thoughts on simple things that often miss our eyes, he pens his reflections about people whom he met on the crossroads of life in this book. The book is available for sale in our online and retail stores.